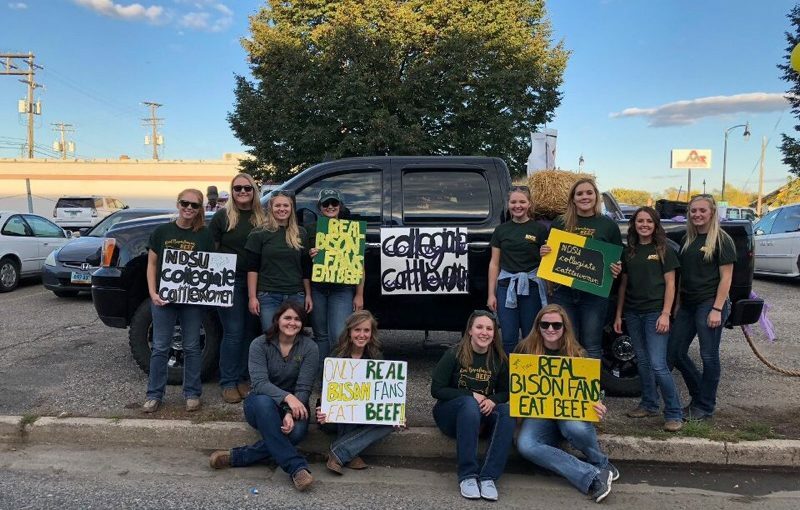 CHELSEY ZAHARIA | PHOTO COURTESYCollegiate Cattlewomen participated in the homecoming parade and showed off their bison pride. 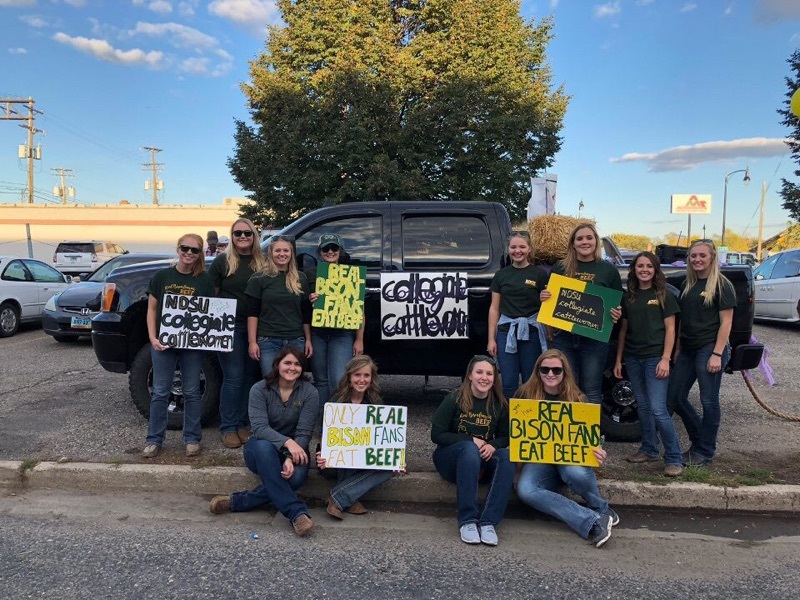 North Dakota State student organization Collegiate Cattlewomen works to educate people on the beef industry all while creating a community between women in agriculture. They strive to spread awareness, especially among children on where food comes from. “A lot of kids surprisingly didn’t know that hamburgers came from cows,” Carly Zaharia, a member and education co-chair of the club, said. The club goes to the daycare at the Wellness Center and reads to the children about farm animals and plays games about the different animals. The education co-chair sets up the meetings that educate children and the readings about farm animals. They also have events, such as the new beef cooking demo, where students can come and learn how to prepare different types and cuts of meats and get a spice rub, essentially getting a meal out of the experience. “This club, specifically, compared to a lot of other clubs, really focuses on educating. Whether it’s the general public or students within the campus, especially when you’re in a more populated area that’s not as rural, and people don’t necessarily understand where their food comes from, I think a club like this is really important,” Codi Schaper, co-chair for the cattlewomen charity run, said. The co-chair of the charity run focuses on the spring event where they host 5k and 10k runs where women can join together, and all proceeds go to a charity in that field. They also have a woman from the agriculture industry speak at the event. Chelsey Zaharia, president of the organization, explained how the agriculture field is predominately male, but how it has come a long way throughout the years. “Being in the agriculture industry, as a girl, you look around a lot of the times and you’re surrounded by guys,” Carly Zaharia said. 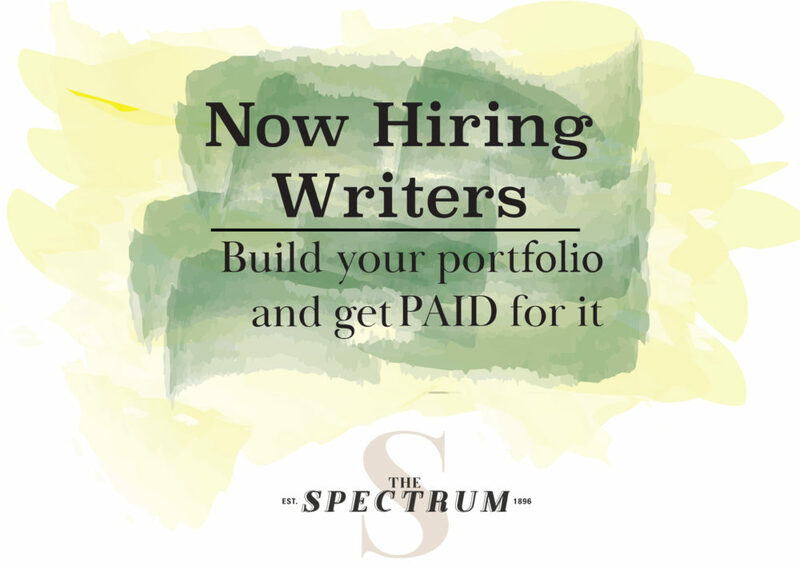 “We encourage careers and opportunities for ourselves as women within the industry and actively take part in impacting it for ourselves,” Chelsey Zaharia said. The organization opens up opportunities that many would not have before through teaching and learning. Through the club, students exchange knowledge about different animals and meats, leading to more knowledge to show off in classes. The cattlewomen talk to each other about their different experiences, which allows them to learn more through life experiences. “It has made me a more informed agriculturist,” Chelsey Zaharia explained. It also opens doors to working with state cattlewomen and the North Dakota Beef Commission. “It’s definitely given me a lot of opportunities already, and I’m only a freshman. So I’ve done a lot of things I wouldn’t normally do if I wasn’t in this club,” Haylee Leingang, a new member of the organization, said. Many have grown up on a farm, some more specifically tailored toward cattle, so this club is a way for them to continue their interests. Schaper grew up on a beef cattle ranch, which led to her interest in cattle and ultimately joining the club her freshman year at NDSU. Chelsey Zaharia was also raised on a cattle ranch and wanted to continue her passion. She also wanted to meet more people in the industry that had the same interests as her. Carly Zaharia also said she enjoys how small the group is because it makes it personable and easier to create friendships. Not only does the organization promote education about the beef industry, but it also creates a community between the young cattlewomen. So, they have an area where they are not the minority and can start to thrive in the industry together. Through this organization, they learn to communicate with each other and others on how the beef industry works, which furthers their knowledge level and strengthens the communities. “Whatever career you go in, you’re going to have to communicate and eventually help educate others, and so just getting that experience at the college level, so when you do go out into the profession, it’s just that much easier,” Schaper said. 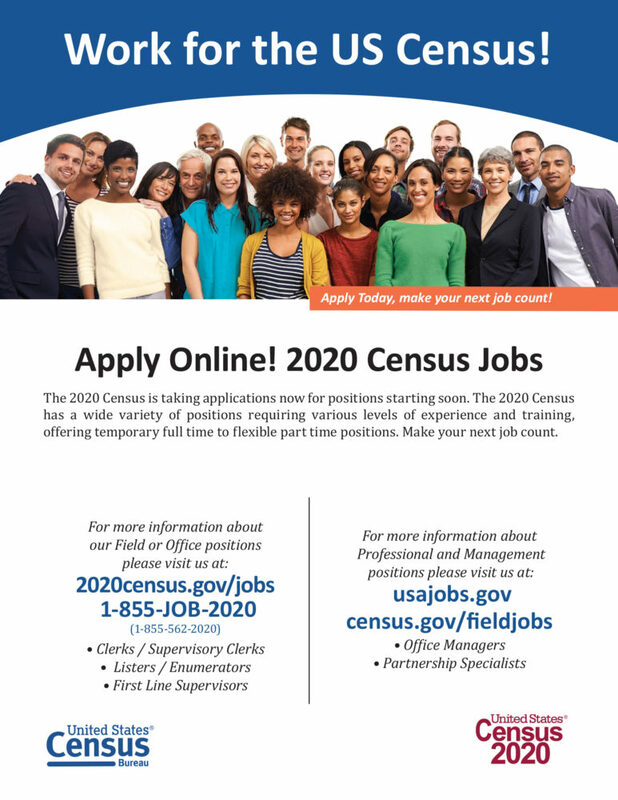 Meetings take place at 6 p.m. the second and fourth Tuesday of each month in A. Glenn Hill Center Room 126. Upcoming events for the rest of the semester include: the Cooking with Cattlewomen Beef Meal Demo on Nov. 29 and Beef Quality Assurance Training on Dec. 3. More information can be found on MyNDSU and on the Facebook page, NDSU Collegiate Cattlewomen.